Good quality parklands are valuable community assets requiring considered planning, design and management to achieve optimal levels of amenity and functional performance. Well-planned and well-designed parklands have the capacity to benefit all Western Australian communities. 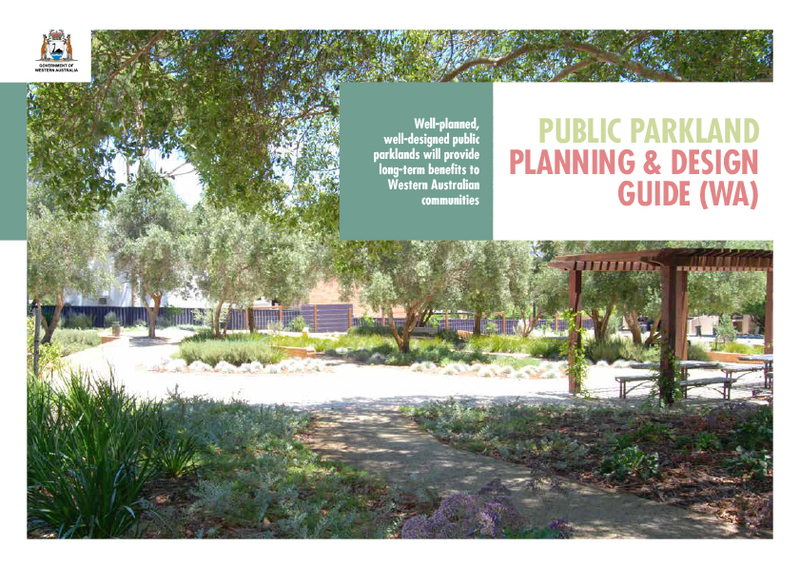 The Public Parkland Planning and Design Guide (WA) outlines how to achieve the best outcomes for planning and designing public parklands within the WA planning and water policy framework. The principles within the guide bring social, economic and environmental sustainability to the forefront of decision making. For the first time, all the planning and design strands have been brought together in one document to provide a blueprint for parkland planning as one integrated process. Importantly, it also provides a single, clear and concise reference point for those involved in the planning, design and management of open space. The guide, which has been written in close collaboration with industry experts, is relevant to all agencies engaged in parkland planning including developers, planners, irrigation designers, landscape architects, park operation managers, environmental planners and engineers.